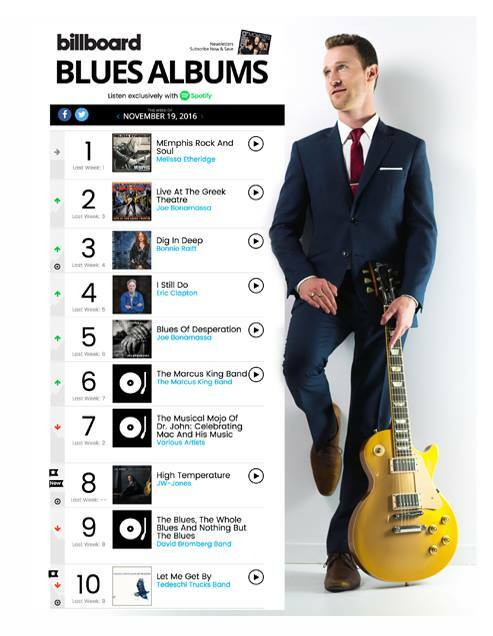 BluesSource Entertainment Presents Andre Bisson: A Blues Salute to the Beatles This Saturday! 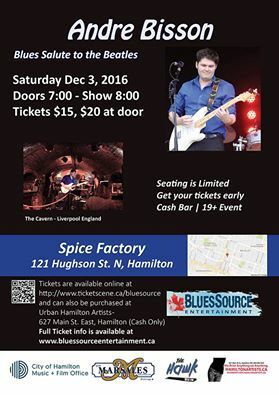 It will be an unforgettable night on Saturday, December 3rd when Andre Bisson and his amazing band hit the stage at the Spice Factory in Hamilton (courtesy of our friends at BluesSource Entertainment! The evening will be filled with Blues covers of classic Beatles songs. 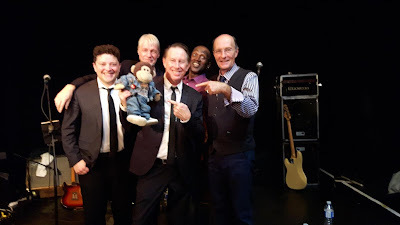 Andre and the gang played at a Beatles festival in Liverpool itself a while back so you know they really know how to rock the Fab Four tunes!. Check out some of their amazing Beatles covers. 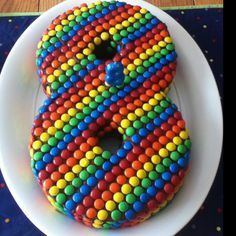 The Hamilton Blues Lovers Turns 8 Years Old Today! 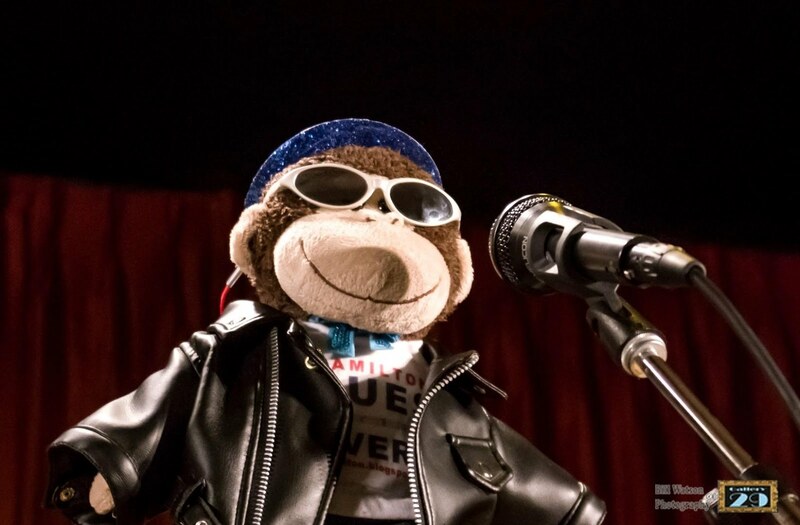 It's been eight years since I first posted an ad online about a new organisation called the Hamilton Blues Lovers. 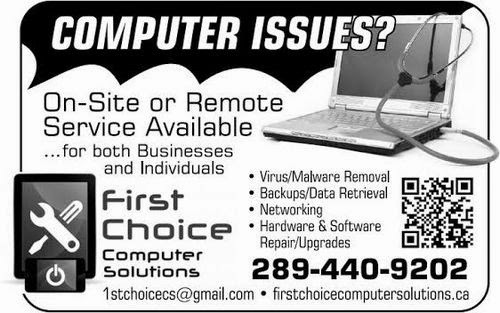 Originally only a social group, it later evolved into a web and social media presence (Blog, Twitter, Facebook, YouTube, weekly e-mail newsletter and more). This year has been wonderful. There was the usual incredible local music. Not only did we add a new Instagram page but our mascot Trebleclef got his own Facebook page too! I'm looking forward to many more years of covering our amazing local music scene! Before I go, I'd like to say a special thank you to my wife Linda for all of her support. I LOVE YOU SWEETIE! 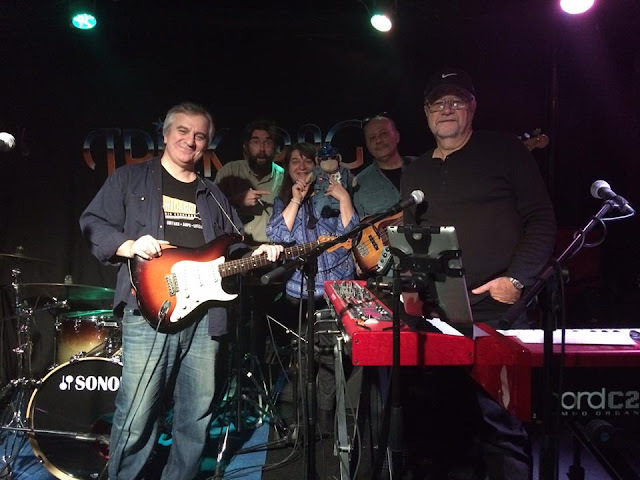 Hamilton's Smoke Wagon Blues Band Show Talent and Versatility on New CD! 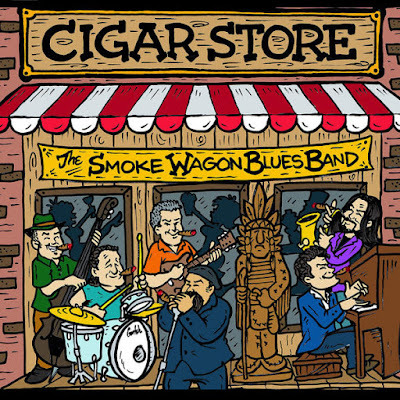 Hamilton group, The Smoke Wagon Blues Band is offerin' up another slice of boogie heaven with Cigar Store, their freshest album. These kings of good time Blues are back and ready to party! This CD also marks the incredible band's 20th anniversary and what better way to celebrate than unleashing some amazing new music! Their talent and versatility are evident as they pepper jazz, soul, funk, county and even some classic rock style organ throughout the recording. No wonder they've lasted over two decades! So go ahead and celebrate with them by picking up a CD at their live shows or downloading it via iTunes or eMusic! A Beautiful, Raw Masterpiece from Hamilton's Famous Framus! 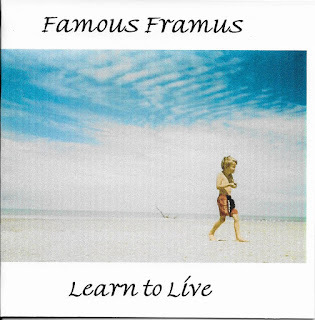 Learn to Live, the newest release from Hamilton's Famous Framus, shows a wonderous musical evolution. Framus takes his trademark, punk-like speed and growl and dials it down to create a beautiful, raw masterpiece. The sound still has an edge to it, as always. By letting the songs breathe though, he lets the emotion of his vocals shine and allows the banjos/guitars to resonate and stick with you. Framus has also kept his knack for amazing lyrics. If you want a copy, you can pick one up at his live shows or by contacting him directly. The album should be up on iTunes soon as well. You'll be glad you did. Trebleclef had an amazing time at the Trickbag CD Release at This Ain't Hollywood! There were tons of amazing guests! 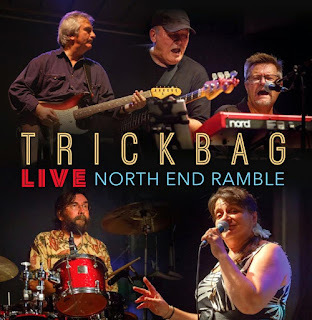 Hamilton's Trickbag Show Off Their Impressive Chops on New Live Album! There's nothing quite like a Trickbag show: amazing music, a fun atmosphere and tons of fabulous songs. The veteran Hamilton band have unleashed North End Ramble, a new live album that shows off their impressive musical chops. It's the next best thing to seeing them in person! Recorded at This Ain't Hollywood, this is also their first recording to feature two new additions: Steve Beach on vocals and keys plus Rick Miles on bass (actualy, he's the band's original bassist returning after a long hiatus). Both mesh extremely well with the other members. The reinvigorated group charge through explosive covers of the Band, Irma Thomas, Keb Mo', The Staple Singers, the legendary Hamiltonion King Biscuit Boy and more. Another interesting feature is an amazing, original instrumental number, Walk the Talk. So if you need some musical oomph in your life, pick up the CD at their incredible live show or get it at Urban Hamilton Artists and other locations across Hamilton. The Coachmen (ft Chris Wheeler, Colin Lapsley and Dave King) are back in action at the Coach and Lantern Pub in Ancaster! They host a wonderful Saturday Blues matinee (2:30pm) with amazing guests! Here are a few upcoming guests. From their website: Arts After School Kids (AASK) is a Unique Free not for profit charitable organization that offers an arts based program that develops self esteem and confidence and sparkling potential in youth 11-14 in our community. 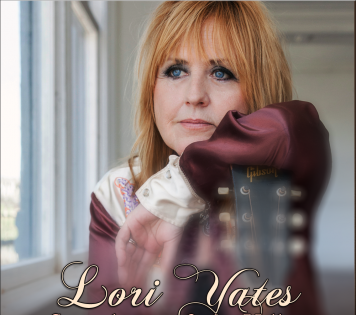 Hamilton's Alt-Country Queen, Lori Yates will soon be honoured by online magazine, Cashbox Canada. On December 10, 2016, she'll be awarded their prestigious Legacy Award. According to the webiste: "The honour is awarded to a Canadian music personality who has paved roads and through dedication and hard work earned a spot in Canadian music history". When approached for comment, Lori said, "It's a great honour to be acknowledged and given the Cashbox Canada Legacy award. I knew I wanted to be a singer since I was 8 years old and I'm so lucky to have been able to follow my dreams." Past winners of the accolade include Bobby Curtola, Robbie Lane, Fred Ramsperger and Danny Marks. Click here for the Cashbox Canada Story. Kitchener's Jesse Parent and the Pines Release Plush and Passionate Live Album! 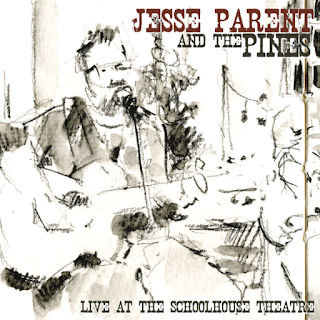 Live at the Schoolhouse Theatre, the latest release from Kitchener's Jesse Parent and the Pines, documents quite a beautiful, live show. Listeners will be impressed with the plush acoustic sound and amazing songcraft. Jesse's voice and acoustic guitar reverberate with passion and vitality. 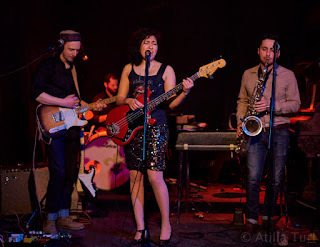 The rest of the band backs him up with spectacular musical skill, lush harmonies and energy. 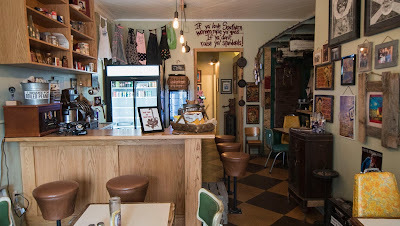 They're at home with Folk, Soul, Blues, Americana and more. This top notch band includes Matt McLeod (bass), Chad Davis (drums), Nick Barkley (keys), Steve Wood (pedal steel), Lynn Jackson (vocals) and Emily Barkley (vocals). CD's are available at Jesse's impressive live shows, his online shop and cdbaby. Putting on Amazing Blues Shows! Trebleclef is resting up. More next week! With the sudden loss of the Golden Pheasant in St, Catherines, the Niagara region lost a wonderful Saturday matinee hosted by the amazing Mighty Duck Blues Band. Thankfully, the matinee returned in September and the band is back in action at the Bar Upstairs. They be rockin' the joint with a nunber of very special guests. Here are a few videos from some upcoming guests. From their website: Food for Life holds a unique niche among Canadian food relief charities in that we focus on redistributing fresh, nutritious food as opposed to traditional food bank fare such as canned goods. Our clients tell us that they are often not able to afford fresh food and that having access to this healthy food allows them to focus on obtaining other life essentials as they work towards no longer relying on our services. The 5th episode of Cable 14 Hamilton's show, Ensemble! 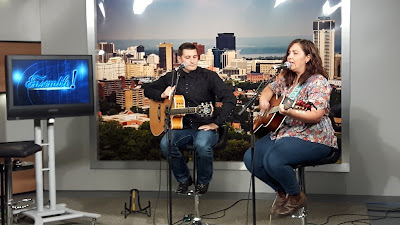 will be airing soon and it features two incredible artists: Cory Cruise and Gillian Nicola. Here are some videos to whet your appetite! 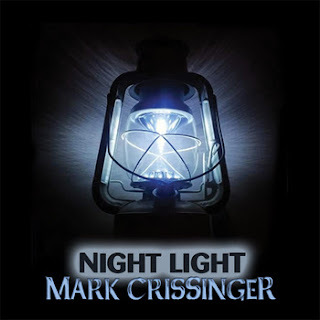 Newest Mark Crissinger Album Filled with Hamilton's Everyman Soul! 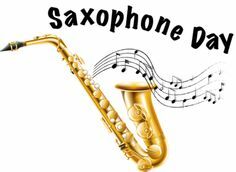 Mark and the gang have thrown in all types of Blues stylings: country, boogie woogie, soulful, rockin' and more to keep things very interesting. With down-to-earth, slice-of-life lyrics and well crafted songs, the album's of the highest calibre. This is due to Mark's amazing vocal/guitar skills and his choice of a fabulous backing band; Bill Hicks of Powder Blues (drums), Jay Stevens (bass), Dan Dube of Renovation Blues Band (keys) and Marty Howe of The Martys (harmonica). Special guests on the project include Steve Hill (guitar), Pat Rush (slide guitar) , Jerome Godboo (harmonica) and Jeff Heisholt (organ). You can pick up the CD at any of Mark's incredible show or purchase it through cdbaby, iTunes, and eMusic. 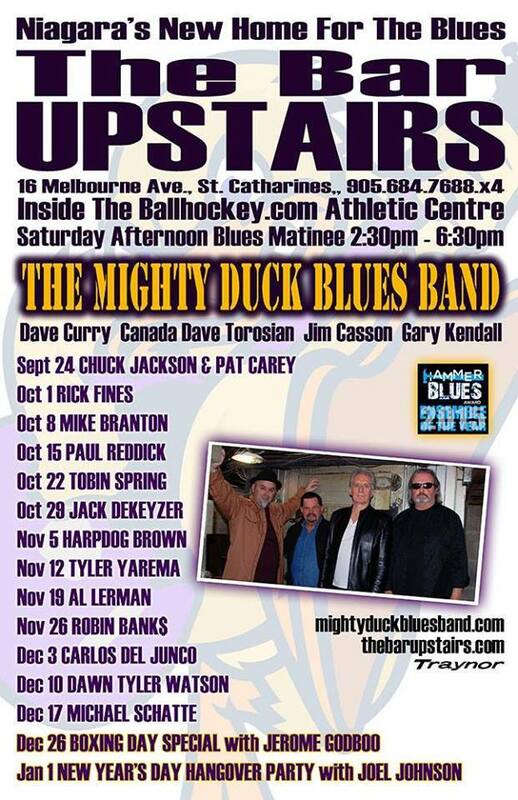 Trebleclef checked out BluesSource Entertainment's season debut: The Jack de Keyzer Band @ the Spice Factory in Hamilton. Waterloo's Elliott and the Audio Kings Pack Their Debut With Pulse-Racing Boogie! 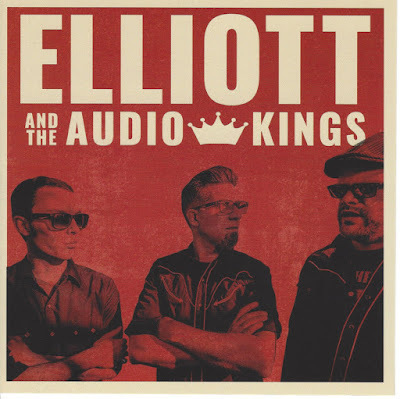 Mike Elliott of Daddy Long Legs is back and fronting his amazing, brand new group, Elliott and the Audio Kings. Their self titled debut album (released through Busted Flat Records) sees this Waterloo band exploring all kinds of roots sounds with the amps turned way up. There's enough boogie packed in here for three albums. It'll get your pulse racing and your body shakin'. This is a recording to put on and just let yourself go! So if you need a boost of energy, pick up the CD at their explosive live shows. It can also be picked up at the Busted Flat online shop or via Bandcamp. 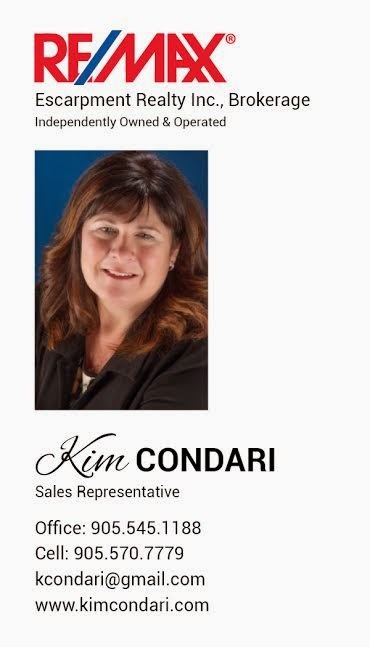 From their website: Our objective is to accumulate capital, earn investment income and use this income to make charitable donations in Norfolk County. Links: Dean Hunt, Video above courtesy of Dean Hunt..
Trebleclef will be back soon. GOOD LUCK! Local 2016 Maple Blues Award Nominees! 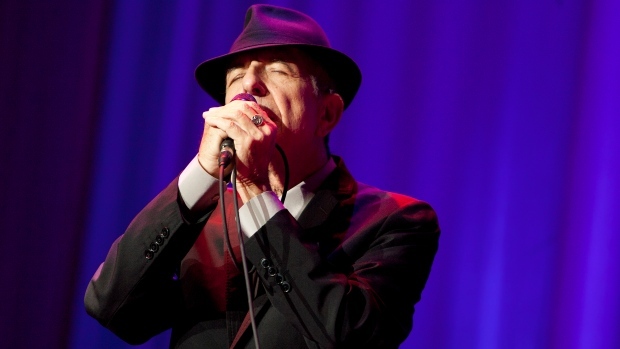 The the 20th annual Maple Blues Awards will be held at Koerner Hall in Toronto on January 23, 2016. 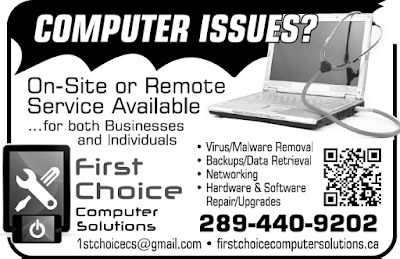 Once again, there are a number of local nominees. Hamilton Blues legend Harrison Kennedy is up for two awards (male Vocalist, Acoustic Act and Hammertown's Jesse O'Brien recieved a nod for Keyboard Player of the Year. Another Hamilton boy, Andre Bisson also got his first nomination (New Artist of the Year). 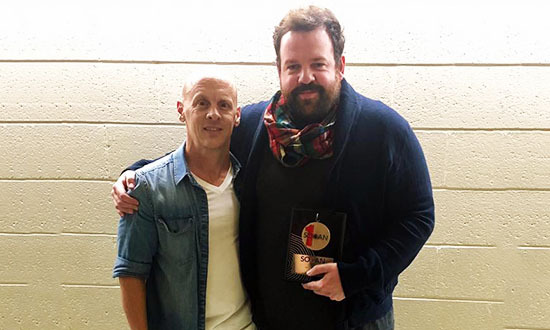 Quebec's Mark Crissinger, a frequent visitor to the city (plus he records in Hamilton too) is also in the New Artist category. Colin Cripps was nominated for his songwriting work with Paul Reddick. Tom Bona (of Waterloo's Soulstack) is up for Drummer of the Year too. Leading the nominations are the The Paul DesLauriers Band (5), Angel Forrest (4) and MonkeyJunk (4). Voting goes on until December 1. Register at www.mapleblues.ca. Here is a full list on nominees.